Unintended vehicle movement can increase the risk of a crash. 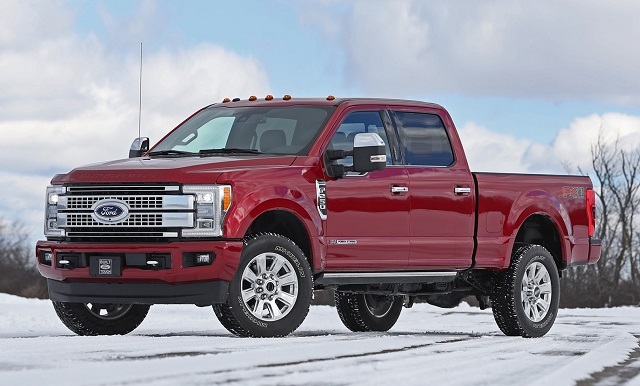 Ford Motor Company (Ford) is recalling certain 2019 Ford F-250 Super Duty, F-350 Super Duty and F-450 Super Duty vehicles. An incorrect transmission case casting may cause the park pawl assembly to not be secured, possibly resulting in unintended vehicle movement. Ford will notify owners and dealers will inspect the transmission case, replacing the transmission as necessary, free of charge. The recall is expected to begin December 3, 2018. Owners may contact Ford customer service at 1-866-436-7332. Ford's number for this recall is 18S36.